A rare opportunity to rent a purpose built single garage in Hamlet Gardens in the Hammersmith area with easy access to transport links. Available NOW. Long Term Let £140 per calendar month. Refurbished large one bedroom apartment (882 sq feet) situated on the 4th floor and located in the very popular Kensington High Street. This well presented property has recently been decorated throughout and the laminated floor gives the apartment a clean and modern feel. The L shaped lounge includes a feature fireplace and two arched windows that offer roof top views over Kensington High Street. The property is perfectly located just seconds from the shops and transport links of Kensington High Street, cafes and a wide selection of popular shops. Allsop Letting and Management manage this property. A large 3 bedroom patio garden apartment. 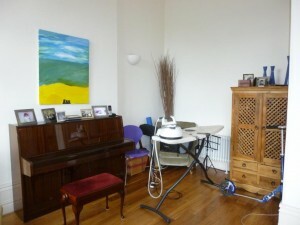 Located in one of London's premier locations overlooking the popular Clapham Common. 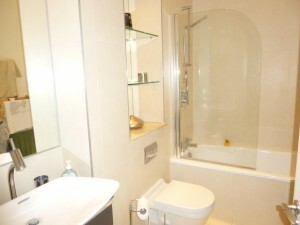 This stylish apartment offers 3 genuine double bedrooms with easy access to 3 modern bathroom. The separate lounge and dining areas connect well together and lead out onto a private patio garden. Onsite concierge and large walled social communal garden with bike store. The building and apartment are managed by Allsop Letting and Management. New to the market situated by the popular Clapham Common, this 3 bedroom duplex balcony apartment offers superior accommodation. This large apartment (213 m2) is full of period features including high ceiling, large balcony doors, impressive marble fireplace and marble pillars. The large open living space offers a fantastic social area for family and social life. As well as the classical features the apartment has a number of modern comforts including integral appliances in the kitchen area. The building and communal gardens are well maintained and the onsite concierge is available to help residents. The apartment and building are both managed by Allsop Letting and Management. A spectacular 2 bedroom apartment split over 2 floors, which offers a large amount living space and a roof terrace. 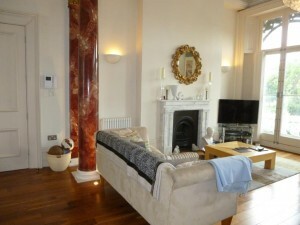 This property is very original and located in a fabulous location over looking the very popular Clapham Common. This period building has much to offer including onsite concierge, walled communal garden and a bike store. The apartment and building are managed by Allsop Letting and Management.